I'm pleased to release a Vim plugin that I've been working on for a little while. 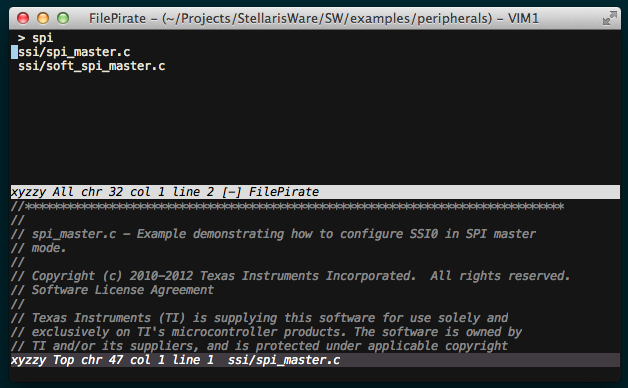 File Pirate is a file picker for Vim. When summoned, it pops up a Vim window and displays all files which match the search term you type. Select a result and press enter, and the file is loaded. The focus is on speed of search and loading: looking for files shouldn't make you wait and take you out of flow. Full installation instructions and a download link. 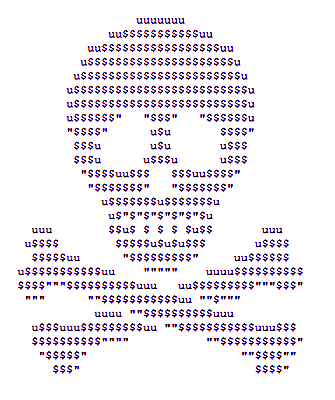 File Pirate on Vim's script's page. There are lots of these sorts of plugins already. I wrote this one because I am currently working with a large directory structure (~50000 files) and existing plugins were very, very slow. File Pirate is fast -- for 50k files, you shouldn't notice any delay when performing a search. The other interesting thing about File Pirate is that it tries to be asynchronous -- searching and indexing happens in the background, so the user interface is always responsive. This is unusual in Vim, which is single-threaded. It's known to work on GUI and console Vims on Mac and Linux. There's lots more information at the github link, so give it a go if you use Vim on large code bases.